WASHINGTON — Three men have been arrested in connection to the fatal shooting of two Germantown, Maryland, teenagers from earlier this month, police said Saturday. 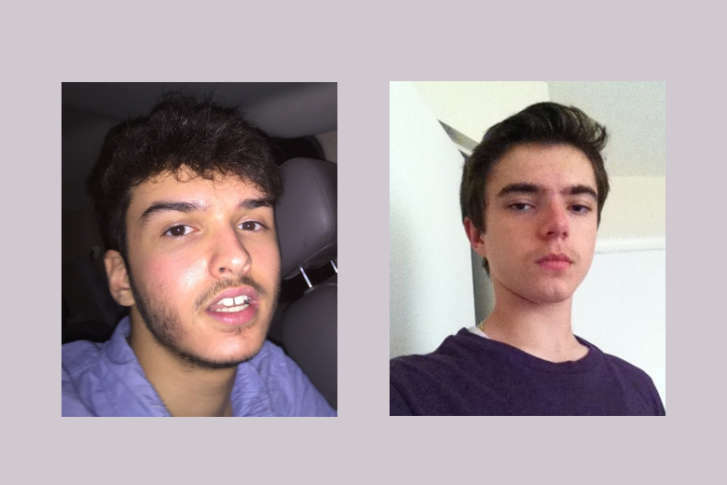 Two Northwest High School students — Shadi Adi Najjar, 17, and Artem S. Ziberov, 18 — were found dead inside a car in the area of Montgomery Village on the night of June 5. Police said earlier this week that they had recovered 30 shell casings from multiple caliber of weapons at the scene. Now, the latest in the investigation reveals that Najjar’s death may have been in retaliation for a “drug-related robbery,” Montgomery County police Chief Tom Manger said in a press conference Saturday night. Jose Ovilson Canales-Yanez, 25, of Gaithersburg. They have all been charged with two counts of first-degree murder and two counts of conspiracy to commit first-degree murder, the police chief said. Manger went through the details police have gathered so far in their investigation. On the night of the June 5 fatal shooting, police found Najjar and Ziberov in a blue Honda Civic with the lights on and engine still running in the 8200 block of Gallery Court. They were killed hours before their high school graduation. Najjar’s cellphone was removed from the car by a suspect, Manger said. It was Najjar’s friend who told police the 17-year-old may have been involved in a drug-related robbery late last year or earlier this year. The friend received Najjar’s last communication before his death, saying he was planning to sell graduation tickets to Roger Garcia, Manger said. It is possible this was a ruse to get the teen to the location where he was killed, according to police. Investigators then interviewed Roger Garcia, who said he did not know either Najjar or Ziberov. He also said he did not buy graduation tickets from them. He did say, however, that he went to Northwest High School, Manger said. Police then learned that Edgar Garcia-Gaona was Roger Garcia’s brother, and Jose Ovilson Canales-Yanez identified himself as Garcia-Gaona’s friend. And it was Canales-Yanez’s then-girlfriend who had reported a robbery to police, Manger said. His girlfriend at the time claimed in the report that a blue Honda Civic had approached her while she was walking when someone in the car grabbed her iPad and dragged her for about 50 feet, Manger said. “It’s believed this was the robbery that Najjar, the victim in the homicide, was rumored to have participated in,” Manger added. Police executed a search warrant at Garcia-Gaona’s residence in Gaithersburg Saturday. Manger said detectives found a partial box of .40-caliber ammunition, and that 11 out of the 30 shell casings recovered at the crime scene were similar to those found at the residence. Manger said the investigation is still ongoing. Police believe there are additional sources who have not yet come forward and encourage those with more information to contact them. Anyone who may have information is urged to call Montgomery County police’s major crimes division at 240-773-5070. Tipsters can also call Crime Solvers of Montgomery County at 1-866-411-TIPS (8477) or submit a tip to its website. This story has been updated. Stay with WTOP as we get more details.